I can’t keep my mouth shut anymore. Screw the Ghostbusters reboot! Here come the cries of “Sexism!! !” My issue with this film is not the all female cast. It is with the fact that they are doing it as a reboot. They very easily could have just described this as a branch of the previously established Ghostbusters franchise that happened to be run by a group of women and I would not be aggravated. This does not mean that these women could not be scientists or be coming up with their own fantastic technological advances to make the business better and would have placed them in the same universe as the Ghostbusters fans already know and love. My first review, and it’s a text review. Let’s start this site on a positive note, shall we? I’ve never been a guy who’s big on indie movies; I always have those visions of snobbish self-important wastrels wearing little black berets and sunglasses, sipping on their highly-caffeinated drinks with obscenely silly Italian names (Yeah, great “positive start,” Belmont…), but I digress. Enter The Gamers. I discovered this little indie gem through a friend of mine from a local community college; he’s a professor there, who at the time was running the “Do or Dice” gaming club. 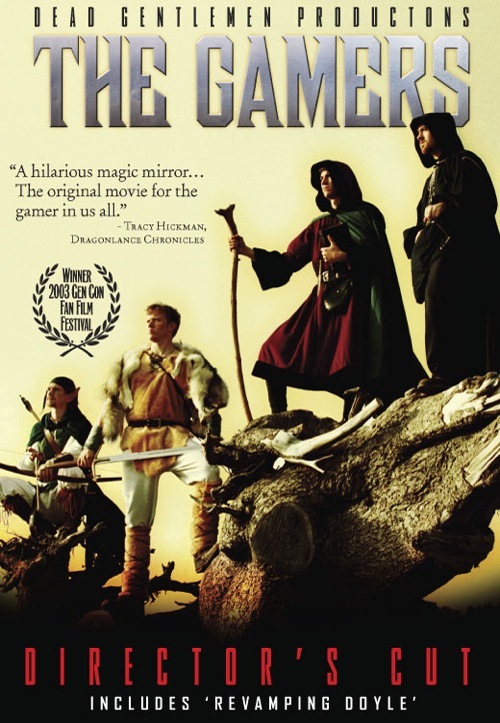 The reason that this indie film was able to capture my attention is because the subject was right up my alley—gaming! I decided to give this indie flick a try, and I wasn’t disappointed. The Gamers uses a new spin on the rather tired “stranger in a strange land” genre, and turns it on its ear. We’re all sick of seeing “A [insert American stereotype] in King Arthur’s Court,” or its nigh-endless supply of spin-offs and remakes vomited up by the vacuous void of uncreativity and corporate red-light district that is Hollywood. Instead of a story about gamers themselves being thrust into a fantasy world where their adventures are real, we get treated to dual-natured movie in which we’re really watching two separate films. In one hand, you have a group of gamers playing an intense and rousing game of the little-known “Generic: The Fantasy” with their books wrapped with “+2 Brown-bag book covers of lawsuit protection.” On the other hand, you have the CHARACTERS of these dice-slinging dorks on the very adventure that the players are running.